Looking for weekend plans? They’re right here! From the “Empress of Soul” to great Indie bands, we’ve got something that will satisfy your concert craving! Check out our list and have an Awesome weekend! He calls himself the Mexican Elvis for his on point impersonations. 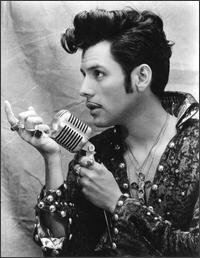 El Vez has been entertaining crowds with his political and Latin flavored roots, with Elvis style thrown in. This will be one for the books for sure. The “Empress of Soul” of coming to Atlanta! With seven GRAMMYs under her belt she is a performance you won’t want to miss. Never stop believing Journey fans, because Almost Journey is the next best thing you can see. Playing all the great hits as well as the more obscure songs, this tribute band is one fans of the original won’t be disappointed with. For the third year, Hoopee Jam will take place, bringing in the greatest of bluegrass and roots music. Spreading over a 100 acre private farm, artists include Mike Farris, Wet Willie, Col. Bruce Hampton, Jeff Sipe Trio, Randall Bramblett Band, Tommy Talton Band, and more. If that’s not reason enough to go, part of the funds will go to Emanuel County charities providing assistance for needy families, as well as the Ohoopee Dunes Natural Area. Human models paired with canine models will be strutting their stuff at the W this weekend! The human celebrity models will be wearing clothes from Tootsie’s and Bloomingdale’s, and their doggie companions will be looking just as sharp as well. This event is to help raise funds and awareness for the Atlanta Humane Society. Go out and support out dogs! Film designers, wardrobe artists, interior designers and everyone else who goes into creating a perfect TV series or anything on film will be here. Come down and learn what goes on behind the scenes and how the magic works! This is the largest DM Dance party on the East Coast, and it won’t disappoint! Saturday’s lineup will include the musical stylings of DJs Steve EP, Missguided, Killa K, and Krasty McNasty. Michael, the essential main man of Telekinesis is moving forward. His lyrics are going forward, his music is going forward, and so is he. Pushing the boundary of his music and his song writing, he is also expanding his repertoire and talents. Didn’t like the first two tribute bands? Here’s another. The Machine is one the best Pink Floyd tribute bands, so go down to The State Theatre to see how these guys scale up to the real deal. Synth pop? Yes please! Motion Lines will end your weekend the best way possible with hod popping music going well into the night.